Join us on a quick journey by the hand of Juan Martínez, Executive President of Joya de Nicaragua, trough the making of our newest cigar: Joya Red. Hola, my name is Juan Martínez and this is Joya Red, a new and exciting side of Joya de Nicaragua. 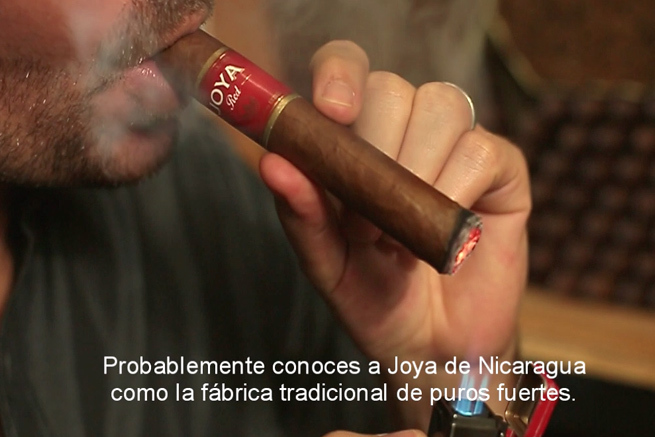 You probably know Joya de Nicaragua as the traditional maker of powerful cigars. Or, so you thought! This is a medium body cigar. It has the character of a Nicaraguan puro, only this time we stayed away for the abundant use of ligeros and thick wrappers to a blend with more viso and lower priming habano wrappers. The binder and filler leafs were also grown in the rich and fertile lands of Estelí, Jalapa and Condega. This combination of premium tobaccos resulted in a balanced cigar with medium strength and captivating flavors; very smooth nutty notes and hints of pepper. Joya Red is the cigar for the modern smoker. It offers a vibrant and extremely pleasant smoking experience. One you will enjoy anytime, anywhere. Classy as always, but a lot more fun. 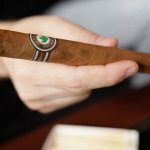 We take great pride in having developed this cigar with the help of the youngest executive team in the industry and the most senior master blenders of Nicaragua. Such as Leonel Raudéz, our Factory Manager since 1992 and a tobacco man since the early 70’s. We feel our packaging also expresses the heart and soul of this blend. It’s classic, but with a very modern twist. Look out for these red boxes of goodies. We hope you enjoy smoking our Joya Red as much as we enjoy making them. • Read the Joya Red Press Release. • View Joya Red on our web catalog.